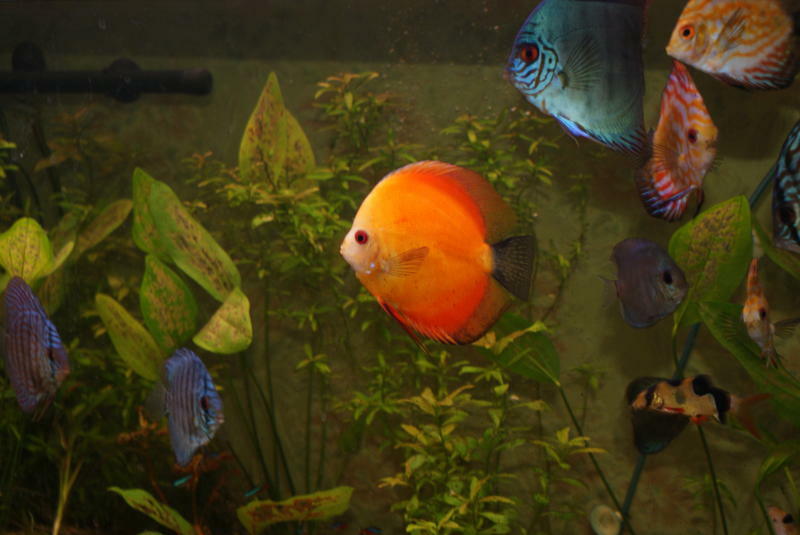 Hello, and welcome to the website of the Robin Hood Aquarists, an aquatic club based in Nottingham. Have you ever been a member of any of the fishkeeping clubs of Nottingham? If so we would like to hear from you! Whether it was the original or reformed Nottingham Aquarists, Hucknall & Bulwell Aquatic Society or a member of Robin Hood, please get in touch. We'd love to hear your old fishkeeping stories, so go to our contacts page and drop us an email. We hold regular monthly meetings on the second Monday of each month at the Highbank Community Centre, Farnborough Road, Clifton, Nottingham NG11 9DG, starting at 8pm. We have a varied range of meeting topics, along with table shows and mini auctions. Have a look at the Calendar page for all the topics for the year along with meeting dates. This year we will have the company of Dr David Pool of FishScience in May with hopefully a couple of other guest speakers to be confirmed later in the year. We will continue to hold mini-auctions at the end of our Monday night club meetings, given the success of these since 2013. This is the opportunity for members to sell a few fish they've bred, stock they'd like to change, plants they've grown or food cultures. Visitors are welcome to bid on and buy items, but sellers at Monday meetings must be full members of the club. Have a look at the calendar page for the dates of our regular club meetings and what's on each evening. All visitors are most welcome to club evenings, just pop along. You are welcome to attend as a visitor for your first three meetings and then there is a one-off payment of £10 for a life- time membership, following acceptance into the club by the members. No monthly subs are charged. We run two auctions each year in the Spring and Autumn which are open to all. Take a look at the events page for further details. Also check back regularly, as we will be updating the page with what items sellers will be bringing in the run up to the day. The Events page also has the Code of Practice that we operate at our auction and which all sellers are required to adhere to. The code also includes great advice on buying fish at auctions, so is well worth a look, even if you aren’t selling. The Code of Practice can be also be found HERE.